Life's Journey To Perfection: LDS Sharing Time December 2014 Week 2: Remembering Jesus Christ helps me choose the right. LDS Sharing Time December 2014 Week 2: Remembering Jesus Christ helps me choose the right. December 2014 Week 2 Topic: Remembering Jesus Christ helps me choose the right. "15 And it came to pass that there was no contention in the land, because of the love of God which did dwell in the hearts of the people. Ask the children to tell you why the people were righteous? "Because the Love of God ... did dwell in the hearts of the people." Explain that it was because of their Love of God. Explain that because they loved God and remembered him, they were able to make the right choices. 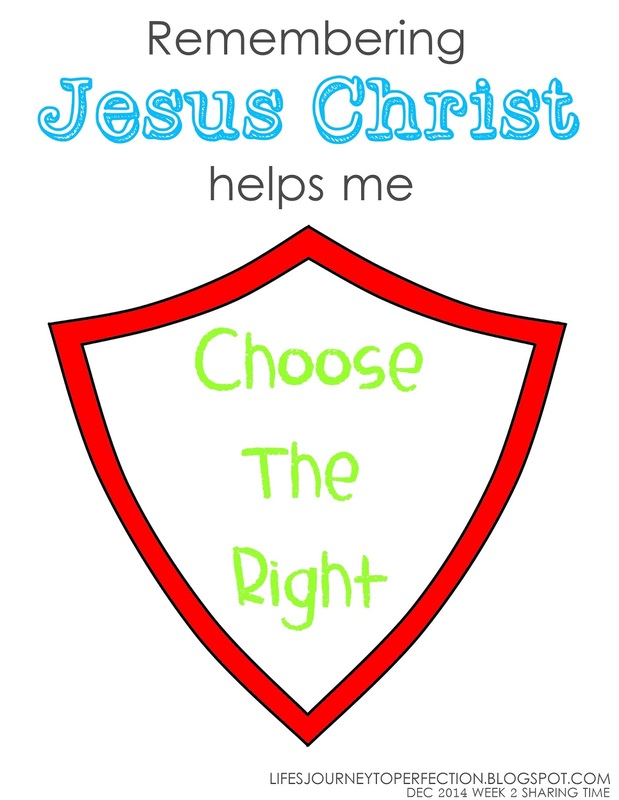 Show the Theme Poster to the children and invite them to repeat, "Remembering Jesus Christ helps me choose the right." Invite a primary child to come up and pick an ornament. Invite them to hold a picture that correlates with the song. See links to pictures above. Sing the song as a primary. Invite the children to think of the words as they sing the song. After each song ask the children for some activities they can do each day to remember Jesus. Continue until each ornament has been picked and each song sung. Close by sharing your testimony about how remember the Savior has helped you to choose the right. Great ideas, thank you for your help! I love this, thank you. I seem to come and use your site each month. I very much appreciate your ideas and print outs! Thanks Kim! It's so nice of you to share your ideas. Can't wait to use them with our class here in Asia. Morella, Thanks so much for your comment :) That is so neat you will be using them in Asia!! Thank you for the great ideas, they sure help! Thanks so much Chelsey for commenting :) Good luck with your sharing time. Thank you for preparing your blog posts early:). 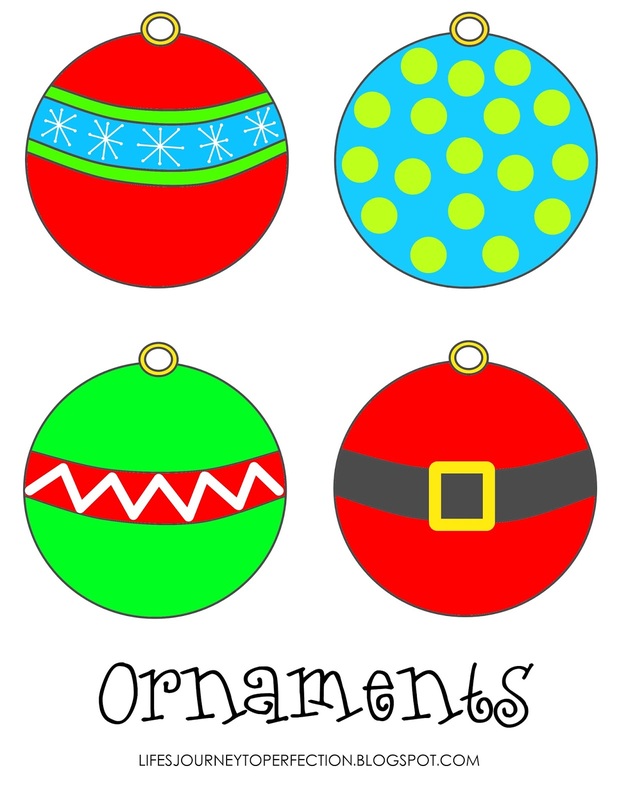 I'll be using your ornaments idea in England:). Thanks Lyana for your comment! I love hearing that these ideas are being used all around the world, so exciting :) Good luck with your sharing time. Thank you for the time you put into the lessons and the printing tips. I really appreciate it!